I have been putting up many articles pertaining to a most important health issue, and that is the adding of toxic Fluoride to community water supplies. I recently put up an article about how the city of Watsonville, California was actually fined for NOT putting Fluoride in its community water supply. People must be told the truth about how this chemical is a dangerous neurotoxin, is extremely poisonous, and has absolutely no health benefits what so ever. What in the world are they putting in the water? There’s a continuing saga in Tallahassee, FL that has gone on for many years, which is representative of similar sagas that are taking place across America. It all revolves around the water – specifically the water that is filtered and treated by municipal water quality divisions in every city and county throughout the nation. Unknown to each other for many years, two healthcare professionals in Tallahassee, FL began their independent research around the quality of Tallahassee drinking water. Dr. Tom Termotto, an Integrative Health Consultant and author of this article, chose to focus on the unintended consequences, toxic side effects and collateral damage caused by two standard operating procedures long in place at the municipal water quality division in Tallahassee, FL. Dr. Ron Saff focused on the myriad chemicals, contaminants and toxins that find their way into the water by various means and from a multitude of sources. Quite fortuitously for the citizens of Tallahassee, their paths crossed when they were both opposing the siting of a biomass incinerator last year in Gretna, FL. Both of these longstanding environmental health advocates knew that there was something very wrong with the water in Tallahassee, yet realized that there were so many vectors of groundwater contamination it could take years to accurately diagnose both the sources and the numerous chemical contaminants. Hence, a collaboration was formed which has taken this citizens’ initiative all the way to the Mayor’s office and beyond. Just this month Mayor John Marks announced his intention to form of a Citizens’ Task Force, which will be appointed to further study and act upon the many negative aspects of Tallahassee drinking water. Some of these issues have been found to be so problematic that they have, and will continue to translate to, a whole host of serious health issues and medical conditions within the local drinking and bathing population. Where Dr. Saff has set his gaze upon the list of chemicals which the US Environmental Protection Agency and FL Department of Environmental Protection have identified as carcinogenic, toxic to the human body and especially deleterious to infants, young children, pregnant mothers and their fetuses, Dr. Tom has focused on the water treatment processes that are further contributing to the problems and, in some cases, making a simple problem exponentially worse due to profound interactions causing unintended consequences. Just what water treatment processes are we talking about? One of the major components and preferred method of water treatment throughout the USA has been the standard chlorination procedure, which has been in use for many decades. It was first utilized over 100 years ago, and since WWII has been the primary disinfection treatment by virtually every municipal water district in the land. What’s inherently defective about this method of disinfecting water? And, that is its only purpose – disinfection. Just in case you didn’t understand this, here’s another phrasing from the water experts at Doulton/H2O International Inc. in Ontario, CA. That’s twice now that you have read that the very process that is designed to treat our municipal water also has the unintended consequence of polluting it – with a carcinogen. We encourage all readers of this article to further research this matter so that, by becoming well acquainted with a fairly unknown issue, they can provide their local water authorities with this critical information. What other toxic side effects does chlorination produce? Did you know that there is a direct correlation between chlorine and depression? Repeated exposure to chlorine, in both its liquid and gaseous form, can greatly contribute to physically induced chronic depression. How de we know this? Many allopathic and alternative healthcare practitioners have recommended to their clients to stop drinking the tap water and begin drinking distilled or activated carbon filtered water, which are both free of chlorine. Much anecdotal evidence and clinical observation has revealed that, in many cases, the months or years of depression go away very quickly, never to return again, when such depression is in fact due to chronic exposure to chlorinated water. This phenomenon is even more dramatic when the often-female client installs a whole house de-chlorination system in her garage and eliminates her exposure to the previously chlorinated bath water. What other water treatment processes are we talking about? Nothing – and we mean nothing – turns water into kool-aid quicker than the fluoridation of a city’s water supply. Hydrofluorosilisic acid (aka fluoride) simply has no place in any water supply. “This form of fluoride chemical added to water is an industrial by-product from the phosphate fertilizer industry. Unlike the fluoride used in toothpaste, hydrofluorosilicic acid is not pharmaceutical-grade quality. It is an unpurified, industrial-grade, corrosive acid which has been linked, in several recent studies, to increased levels of lead in children’s blood.”(Per FAN) This is the liquid form it usually takes when it is introduced by water districts all over the country. Here in Tallahassee, it is no different. So, just what are the real health and medical issues surrounding this mysterious and generally misunderstood chemical known as fluoride, as well as the process known as fluoridation? And why is the City of Tallahassee allowed to deliberately contaminate its water supply with a known toxin?! Let’s begin by stating some facts about fluoride ingestion and exposure when the aggregate amount from all sources is considered, especially including the tap water as the primary source. All of the following quotes come from the Fluoride Action Network (FAN), an organization staffed by MD’s, PhD’s, scientists, medical researchers and health investigators from across a broad of range of disciplines and specialties. Much of their cross-referenced research has been peer-reviewed and published in the most authoritative journals and professional publications. 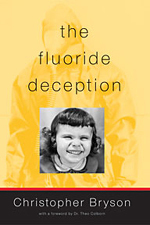 (1) Fluoride & Dental Fluorosis – “Excessive ingestion of fluoride during the early childhood years may damage the tooth-forming cells, leading to a defect in the enamel known as dental fluorosis.” Relevant scientific research provided by the Center for Disease Control (CDC) can be found at the following link. The site below also links to research published in the Journal of Dental Medicine. 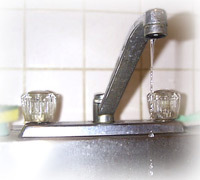 What other unintended consequences have emerged from water fluoridation? There are other unintended consequences with far-reaching ramifications that result directly from the fluoridation of municipal water supplies. For instance, did you know that in the process of fluoridating water two toxic byproducts occur in considerably higher concentrations, both of which are considered by all appropriate regulatory agencies to be dangerous to human health at any level above those that are truly naturally occurring? We’re talking about lead and arsenic here. The following paper was originally presented to the State Lead Commission Hearing in Hannibal, MO in 1994. The following statements come from NSF International website and ought to be seriously considered by every mother or expecting mother who resides within a fluoridating water district. “Fluoride chemicals added to public water supplies, boosts lead absorption in lab animals’ bones, teeth and blood, report Sawan, et al. (Toxicology 2/2010). Earlier studies already show children’s blood-lead-levels are higher in fluoridated communities, reports Sawan’s research team. NSF has produced the “NSF Fact Sheet on Fluoridation Chemicals” that reveals much of what has gone wrong in this water treatment, filtration and purification industry. The operative word here is “wrong”. When toxicologists study chemicals and their numerous permutations in isolation, they ignore the vast number of potential combinations, interactions and resulting synergies, which can substantially ramp up their toxic side effects. There is in fact a great void in the scientific literature concerning these matters even in the analysis of tap water. In the few instances where research has been undertaken to identify these reactions, it is clear that highly toxic byproducts are produced that can do great harm to the human body, especially the developing fetus, the infant and young child. Drinking tainted water like Tallahassee tap water on a regular basis should be done only with the full knowledge of what is also being ingested with the water. It our contention that full disclosure has not taken place in earnest, and is unlikely to take place in most of the water districts throughout the country. If such revelation was commonplace in the Water Quality Annual Reports, there would certainly be a strong recommendation within each for the purchase of a home-based, point of use filtration system. If for nothing else, at least as a dislaimer to hold harmless the legally responsible water district. Are Water Districts illegally practicing medicine without a license? It is extremely important to bear in mind that there is only one reason which has been proffered as justification for medicating an entire population within a water district. We’ve all heard the completely unjustified and totally ridiculous explanation that water fluoridation somehow prevents childhood cavities. What is really surprising is not the extraordinary and over the top sales pitch that has encouraged the routine introduction of a known toxin into the nation’s water supply; rather it is the fact that so many academics, scientists and researchers bought into a scheme to poison a national population! Yes, it is quite shocking that a municipality has arrogated unto itself the illegal power to medicate an entire population. The toxic side effects and health consequences clearly amount to the gradual, difficult to detect, poisoning of a whole community. The citizens in Tallahassee will no longer idly stand by in the face of such an insidiously undertaken chemical assault. The link below furnishes each reader, from whom common sense has not fled, with 50 very good reasons why our governments should not be fluoridating the water. Only because aware and informed people everywhere have not stepped forward to stop this dangerous and unsafe practice, does it continue. The only thing separating our city, as well as communities everywhere, from fluoride-free, non-toxic and safe drinking water is accurate and truthful information. Let’s all do our part in disseminating and sharing this information however, wherever and whenever we can. Our lives, and quality of life, greatly depend on it. NTS Notes: Again, it must be known that Fluoride is a by-product of the Aluminum industry. Almost 100 years ago, the Aluminum industry was stuck with tons of Fluoride as the waste material from the production of Aluminum, and they were in a bind in trying to figure out how to dispose of this highly toxic product. Along comes some Brainiac with the absolutely horrendous idea of dumping it into municipal water supplies as a method of preventing tooth decay (which it absolutely does not)! Guaranteed Alcoa and other corporations convinced, or bribed, Government officials that this chemical was absolutely safe, and with the Government's own blessing they suddenly had a great method of disposing of their extremely toxic waste! People must be aware that Fluoride has neurotoxic effects that were originally discovered in the Soviet Union. The Soviets discovered that by just adding Fluoride to the water supplies of their gulag prison camps, they would not need as many guards to watch over the prisoners! It seems that Fluoride attacks Brain tissue (as shown in the attached article above) and causes a dumbing down effect in the mind. 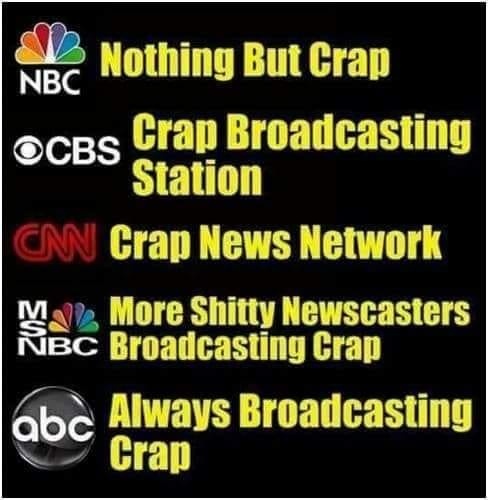 It does make one wonder if this has been the method that the criminals are using to keep people from rising up in revolution, and instead have been relatively docile while they continue to remove our freedoms! Oh jesus. Get me some glacier water asap!